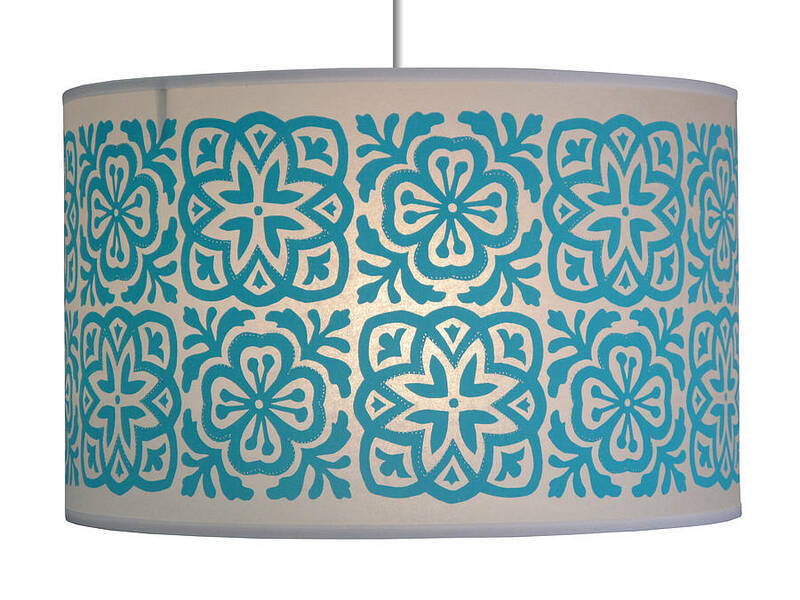 A stunning Moroccan style shade, screenprinted by hand with machine stitiched detail. 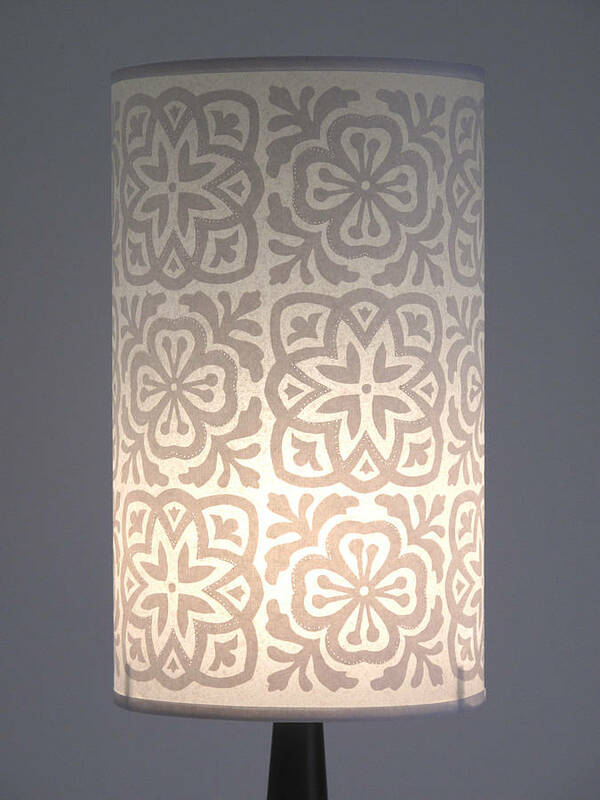 Perfect for pendants and makes a wonderfully bold statement as a table lamp. Bring a touch of Tangiers to your home decor with this classic tiled print. 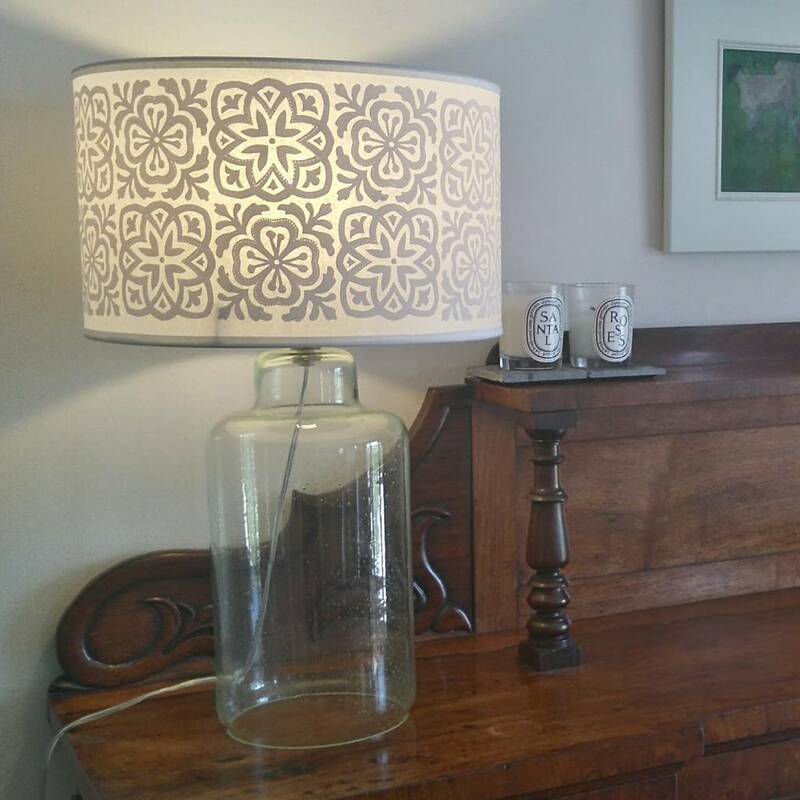 This lampshade could easily take centre stage as a pendant light in medium to large sized rooms or teamed with an elegant glass base next to the sofa for a lovely evening glow. 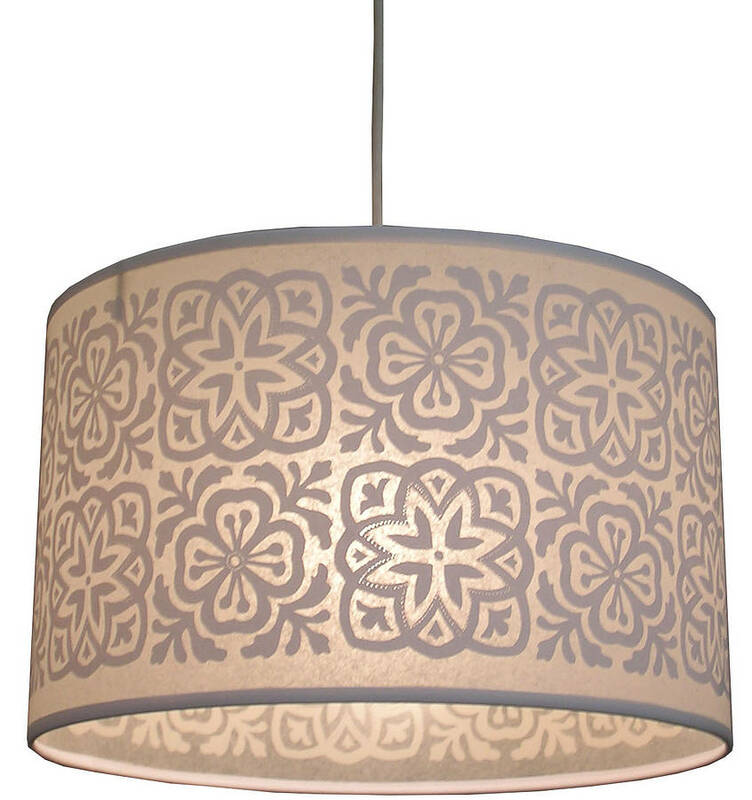 As the pattern works both ways, the fitting allows this shade to be hung as a pendant shade or for a table lamp. 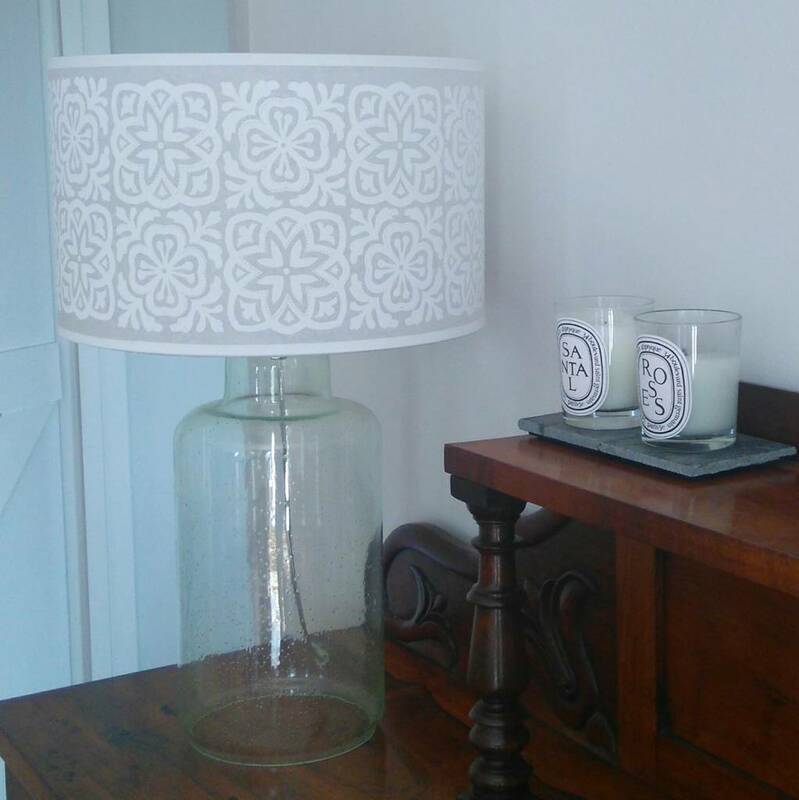 Thanks to happy customer, Nicola Dodd for the interior shots of her White Moroccan Tile Lampshades in her gorgeous living room! 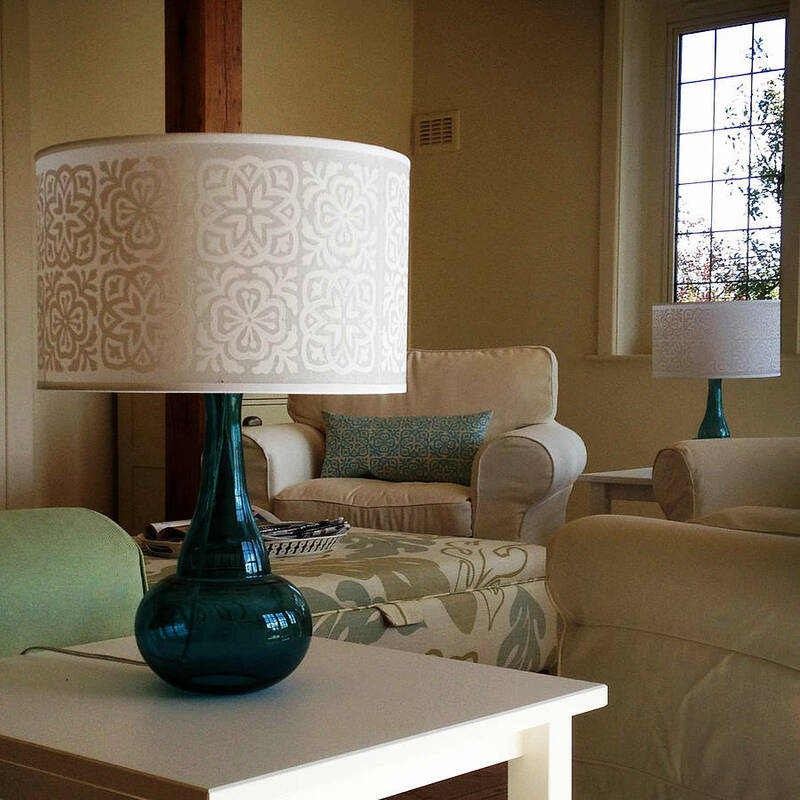 Moroccan Tile is shown here printed with fresh Turquoise or classic White. As the lampshade itself is made of laminated fine paper (imagine white tissue paper) it has a rather translucent effect which is why it appears greyish in the photos, especially when not lit. The print itself is semi opaque, so when the light is on, more light comes through the non printed areas and the contrast is greater. Hence there is quite a transition when you turn on the light. 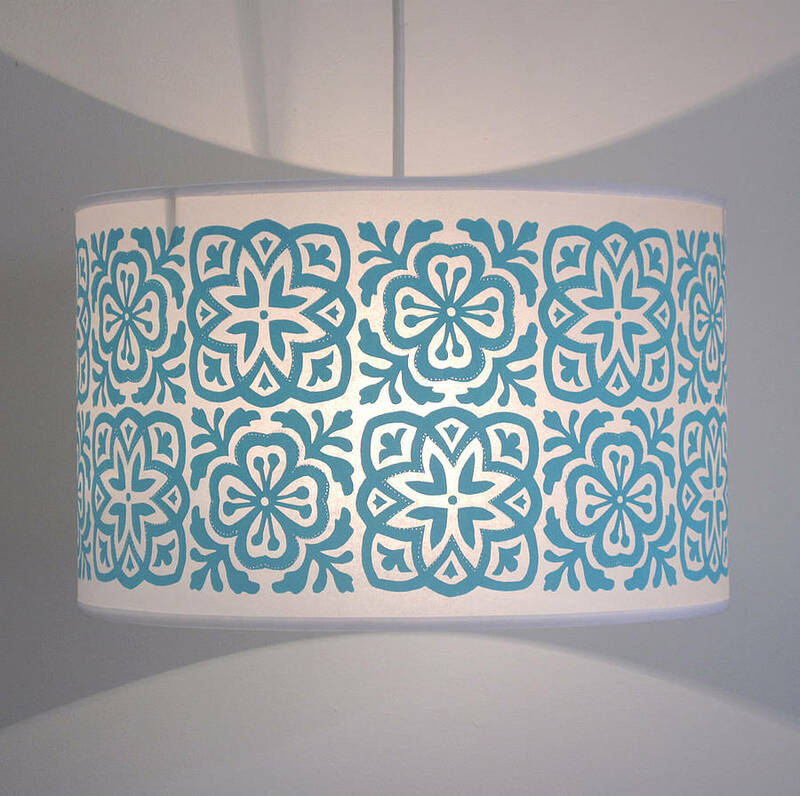 The hue is different depending on the light bulb you choose for example the white print will be cooler with a low energy bulb or a warmer creamier colour with a normal 60watt bulb. The last photo shows the shade unlit so you can see the white print. 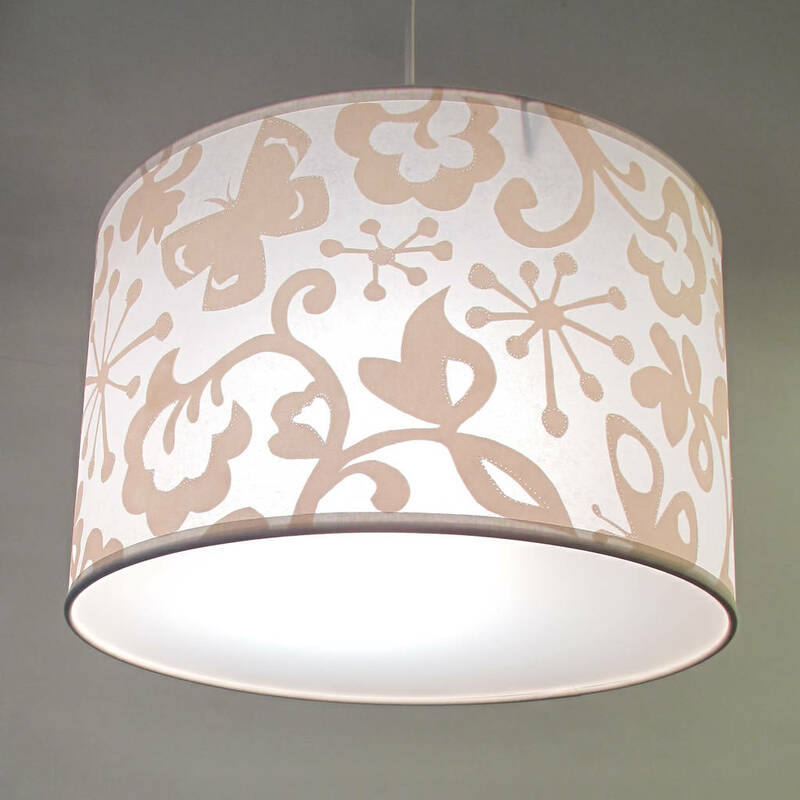 Also available to purshase as a tall pendant light shade in the same design and to finish the look with matching slim cushions, please see our related listings. 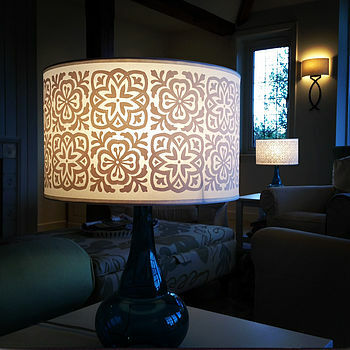 Can be purchased with a polyprop diffuser to block out the overhead light bulb if used as a pendant light. Otherwise you see the print on the inside too, so it depends which you prefer. The last picture gives an example of a similar shade with the diffuser in place. Laminated fine translucent paper with opaque print using waterbased inks, hand printed at our London studio and made in the UK.